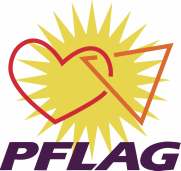 Each month your Colorado Springs PFLAG Chapter sends out a fantastic newsletter by email that is easy to read, informative and even includes active web links. Please note your phone number is optional but First/Last/eMail fields are required. Please note - when you press the Submit button if you do not receive a 'Thank You' note then a field is missing or the email address is not complete. NOTE: Please consider becoming a member of your Colorado Springs PFLAG Chapter and help us keep doing the work that needs to be done. Thanks for considering this. Click here to view our membership form.